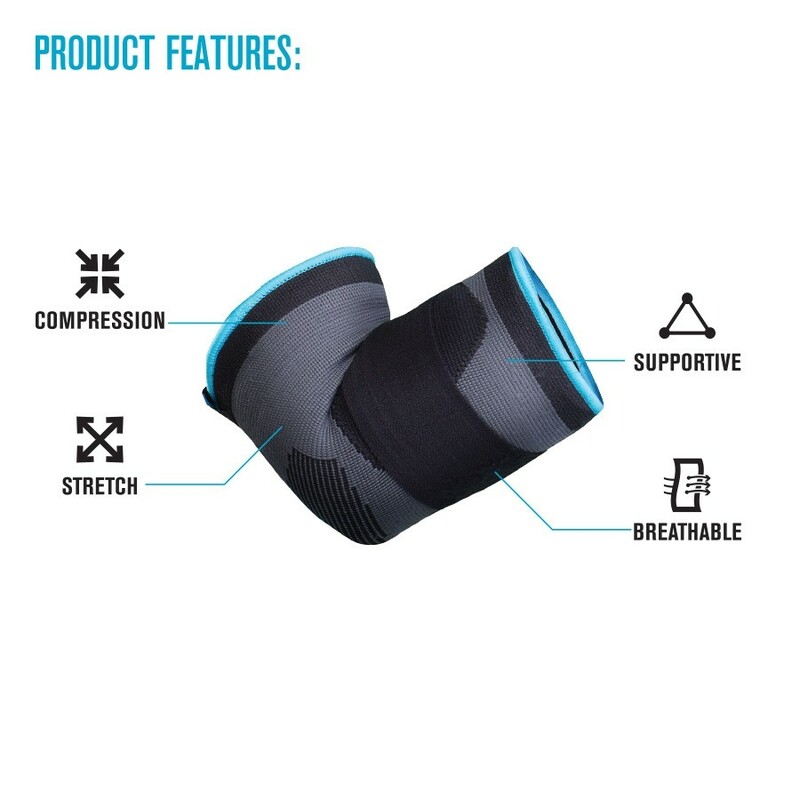 Compression sleeve with strap for moderate elbow support. 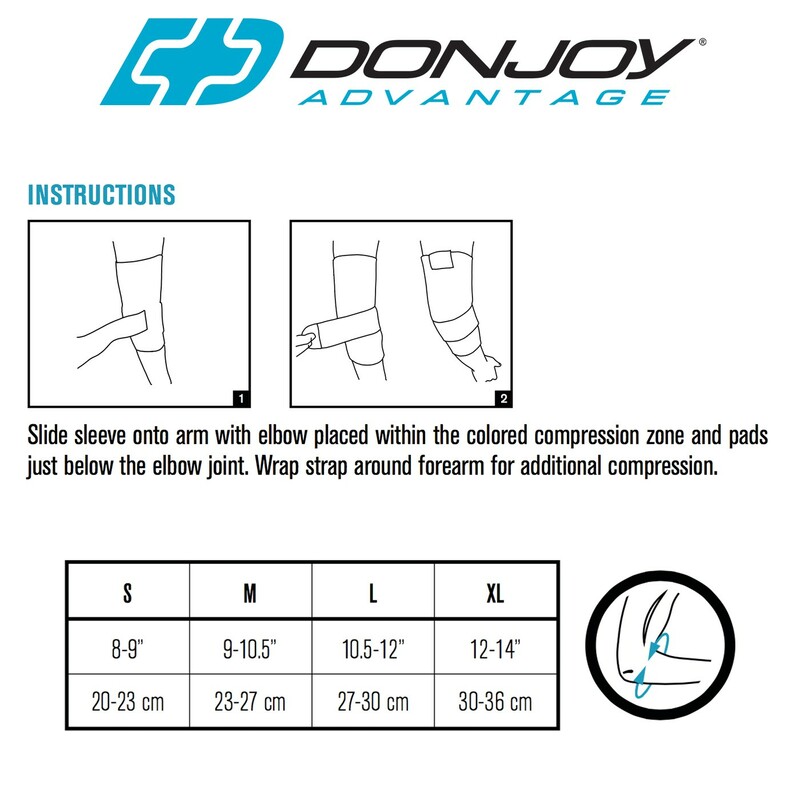 The DonJoy Advantage Deluxe Elastic Elbow delivers moderate support to the elbow relieving pain associated with sprains and strains, Golfer's/Tennis elbow, swelling or tendonitis. 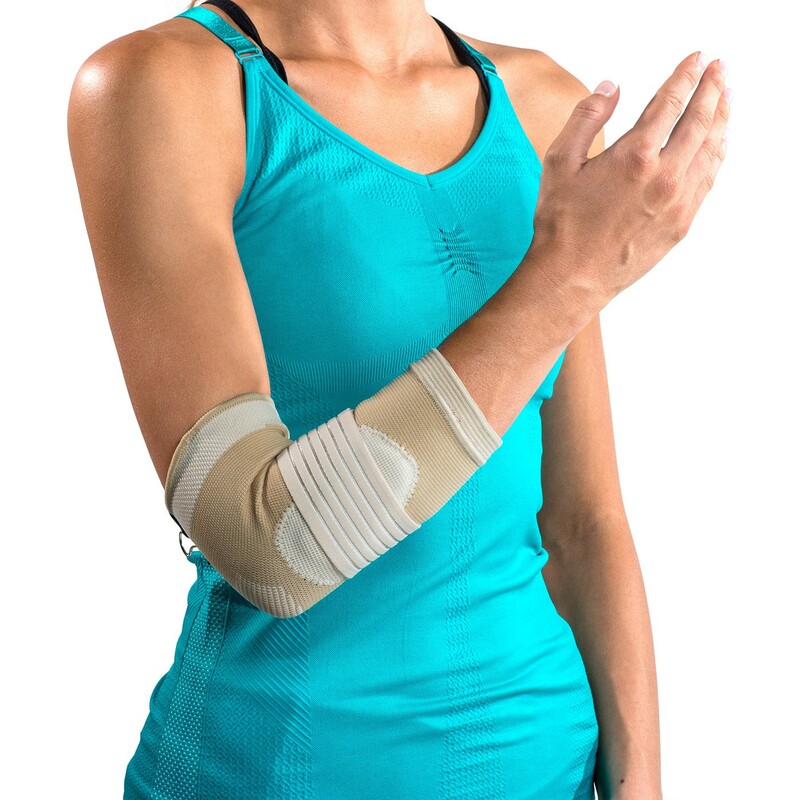 Designed with elastic knit material, this lightweight sleeve provides compression and breathability to the elbow. 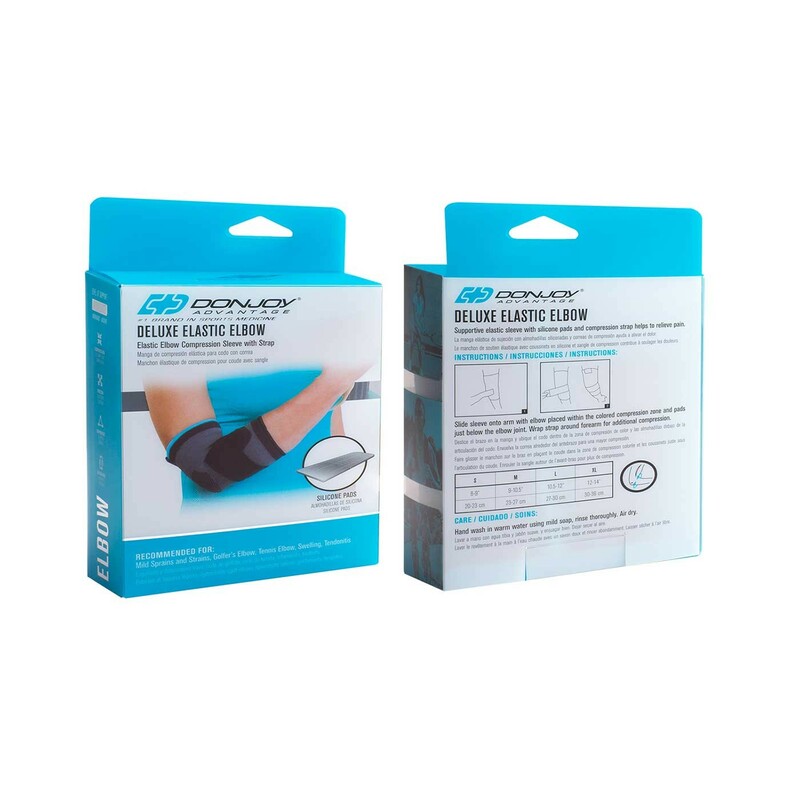 The Deluxe Elastic Elbow is constructed with two silicone pads and a strap to apply targeted pressure to the elbow, relieving pain and reducing swelling. Can be worn either on the left or right. Size is based on the circumference of your forearm. 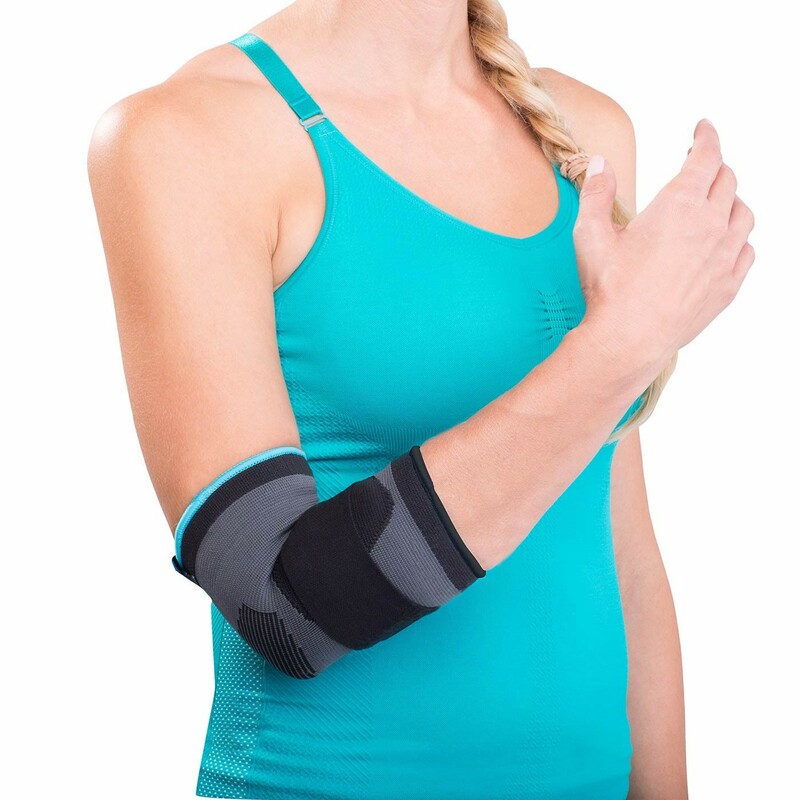 Measure around the largest part of your forearm. Well made - a little tight for a large. but good support.